I am more convinced than I was 10 years ago that there is no righteousness apart from Christ. I am more certain than I was a year ago that I have no righteousness of my own. I am more persuaded than I was a month ago that all that Jesus wills for me will come to me by living in His grace. I am more assured than I was a week ago that when the Father looks at me, He sees the loveliness of Jesus. 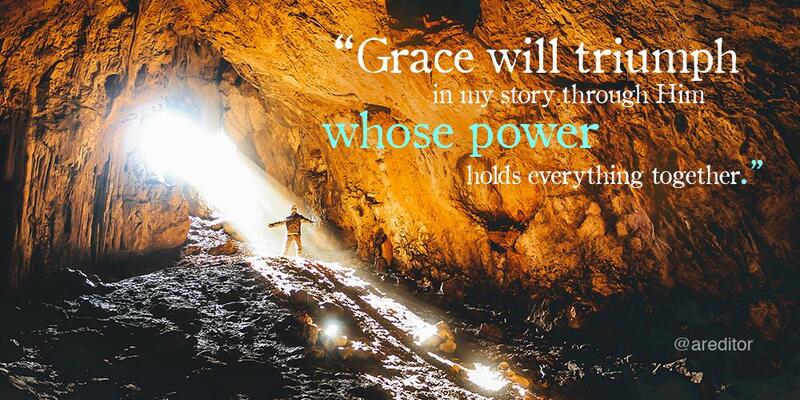 I am more confident than I was yesterday that grace will triumph in my story through Him whose power holds everything together. And I will be more certain of these things tomorrow than I am today, because of Christ who began this work in me. Join me in growing past our fears to confidence in Jesus. And stay in grace.